Miss Kitty's Fishing Getaways offers bay front Copano Bay rentals in Rockport, Texas. Watch the sunset over the bay or relax on your bay front deck with your favorite book. 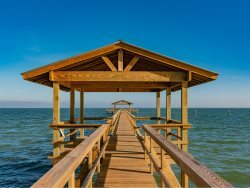 No matter what kind of vacation you are looking for, our Copano Bay rentals are the perfect lodging option in Rockport, TX!